Deli Roll - Kosher In The Kitch! Deli Roll - Kosher In The Kitch! Lay out sheet of frozen puff pastry dough on a greased cookie sheet. Wait for it to be defrosted enough to roll but not too mushy. Spread mustard over entire sheet of dough. Bake on 350 for 55 minutes. Allow to cool before slicing. Goes great with a hot cholent on shabbos day! 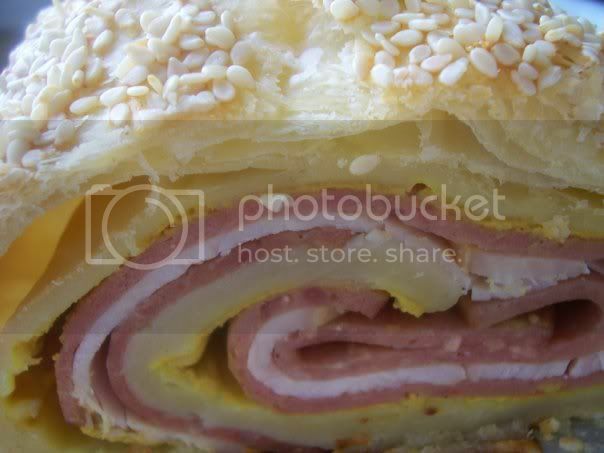 I made this deli roll this week…was all gone before dinner started!thanks for sharing such great recipes! very delicious ! I must try this recipe !